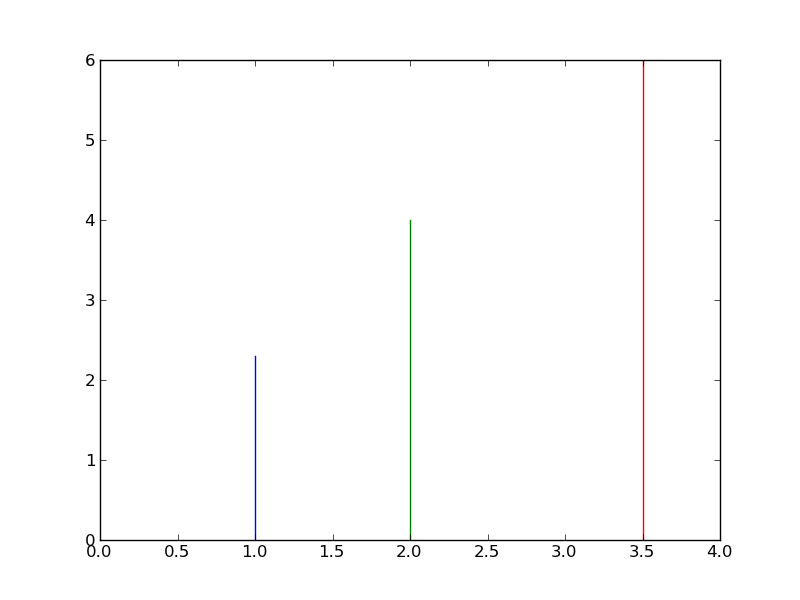 I have a bunch of points that I am trying to plot using matplotlib. For each point (a,b) I want to draw the line X = a for Y in [0,b]. Any idea how to do this? # make up some sample (a,b): format might be different to yours but you get the point.